Learning to speak the English language is much more complicated than understanding how to read it. Often schools focus on teaching students to speak and read English using outdated methods. 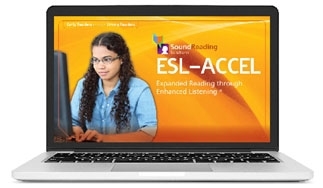 Sound Reading’s ESL-LEP and ESL-ACCEL programs use a unique approach that focuses on developing auditory processing skills, an essential skill needed for all ESL students. With Sound Reading’s Accelerator you will begin reading English today. 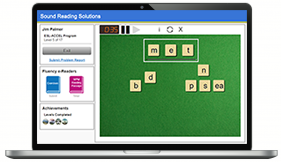 Sound Reading’s innovative software and groundbreaking reading practice is the simplest way to read English. For ten years Sound Reading has been the leader in research-based reading methods. Now Sound Reading brings this powerful science to help foreign language-speaking students master English – the world’s most difficult language to read. The ESL-LEP and ESL-ACCEL Online Programs provide the skills and strategies students need to become independent readers. The Programs include over 200 brief, highly educational engaging activities. It includes embedded assessments every four levels, which helps track student progress. Sound Reading works closely with JkGlobal Connections™ , a company that promotes global literacy and professional development, to ensure that students in Mexico are getting the support they need. 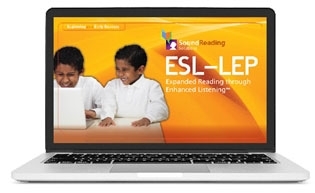 Studies show that ELL students that have used Sound Reading made significant improvements in their reading abilities. To get a better understanding of what our program offers click: Sound Reading in Action.